I love making New Year’s resolutions. This year, I felt really stuck, though. I just couldn’t figure out how to put my hopes for the year into words. Last year, I focused on quantity — I wanted to get 12 different groups of 12 things done. The year before that, I also focused on quantity — knitting up at least 50 items. This year I wanted something more meaningful, not just a numeric goal. Over the past few weeks, I finally figured out what exactly it is that I want to work on: I want to get back to being more of a do-er. In the crises mode of the past two years, through my mom’s diagnosis with leukemia, her treatment, our big move to a new state, and my mom’s death, I feel like I’ve been treading water in terms of the things I am able to do for my household. I was able to maintain the skills that I already knew, and continue to do those things for my family, but I haven’t been able to grow my skill set. This year, I decided that I really want to learn new things and continue to find ways to be more of a producer rather than more of a consumer. I’ve found so many fun projects to work on this year that are growing my skills, and I am loving it. 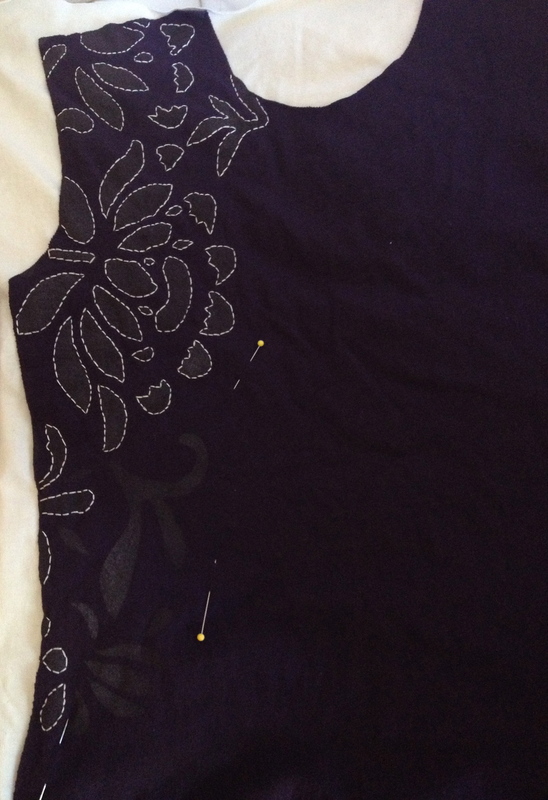 I’ve started working on reverse applique and hand-sewing my own clothes. I bought my supplies through Alabama Chanin, and I have found the process so relaxing and fun. Here is one of the shirts that I’ve been working on. Once I finish backstitching around the stencils, I’ll cut out the top layer on the inside, to reveal the cream material underneath. I can’t wait to model it! I was also inspired by French Kids Eat Everything to really dress up my table and have a nice tablecloth. I looked on etsy, and found so many beautiful ones, but decided to give it a try myself. 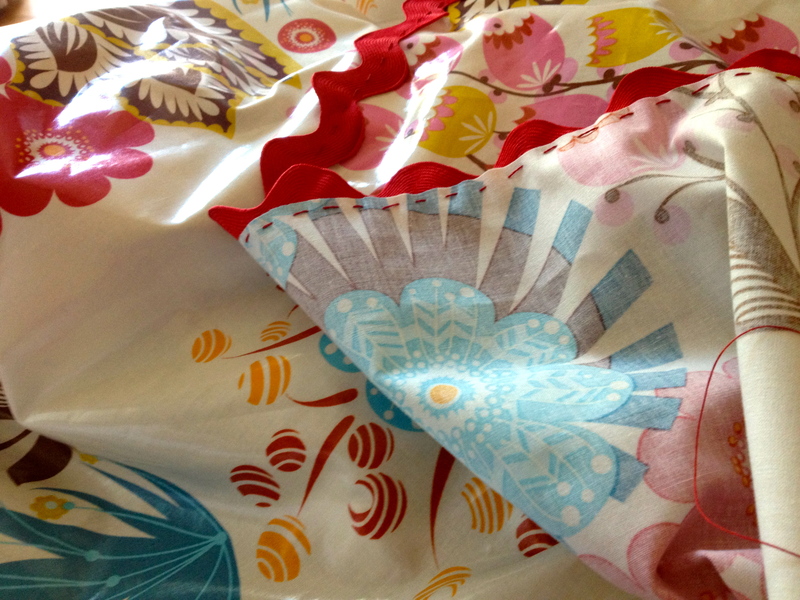 I’m currently working on hand-stitching a border around the oilcloth that I bought, and I am loving it. 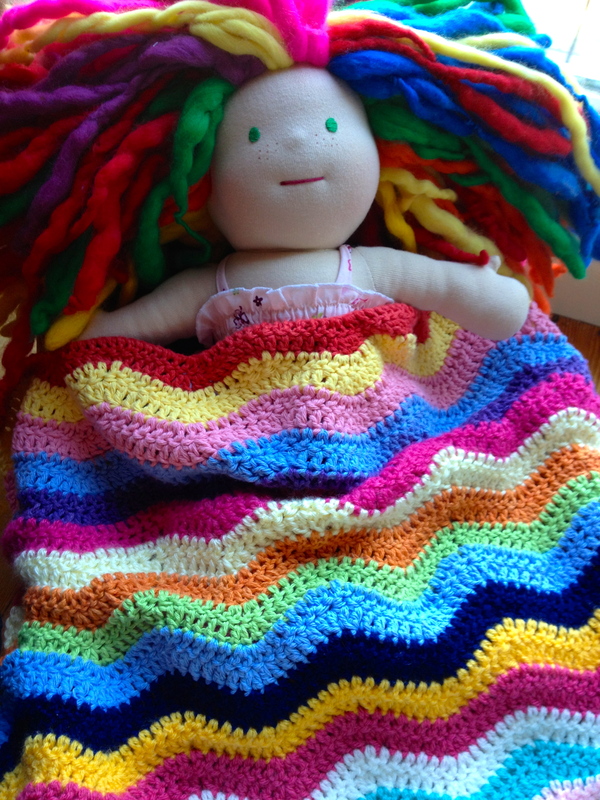 Also, I was inspired by the doll blanket that I made my daughter for Christmas to try to make a king-sized version. 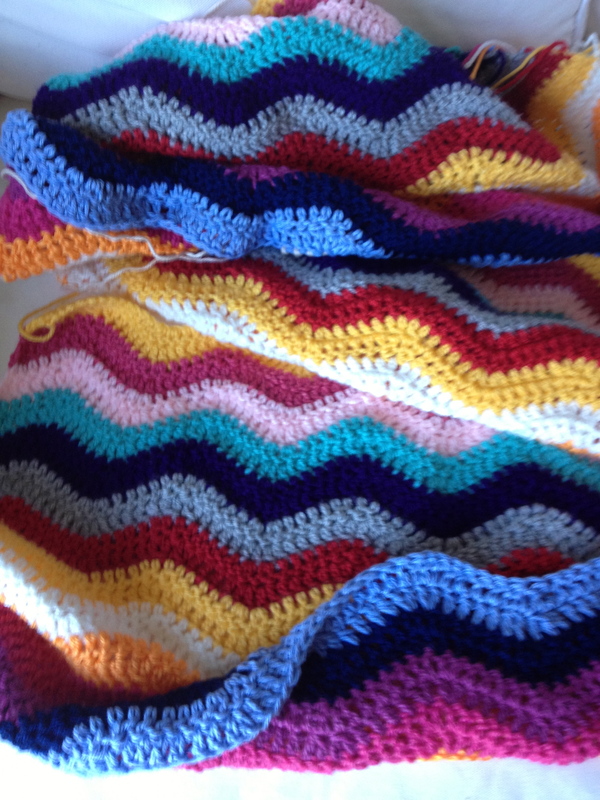 I know, it is crazy, but it is the perfect project when I just need some mindless crochet. So, are you working on anything new? I love inspiration!